ROBERTO CARLOS, the #1 artist in Brazil, with 59 years of career in music, the Latinamerica song idol, will be with us on May, 23rd. 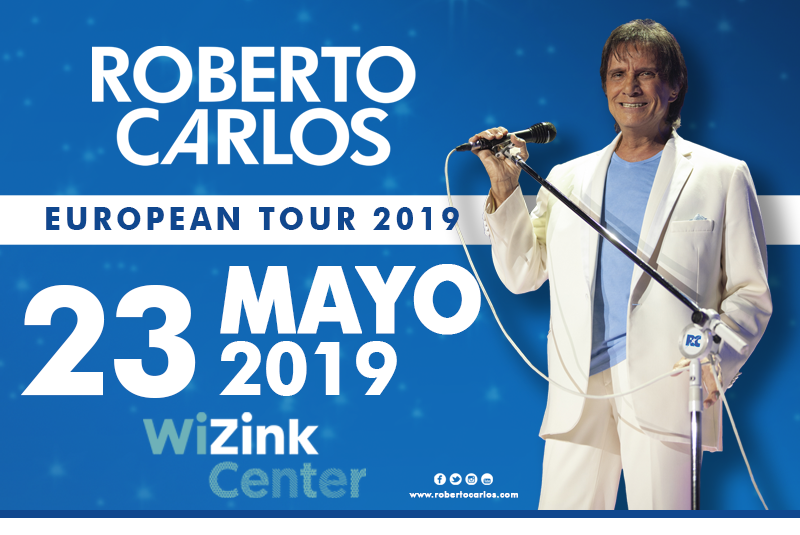 2019 in the WiZink Center of Madrid, where he will be performing his unique show in Spain, part of his European Tour 2019. Is the living artist of the success of Brazilian music worldwide. Somebody that wakes up the loving in people, admiration of millions of fans from Brazil and all over the world. Singer and composer of more than 600 songs. An icon of credibility, romanticism, religiosity and family.